Just because you are a difference species, doesn't mean you can't be best friends. 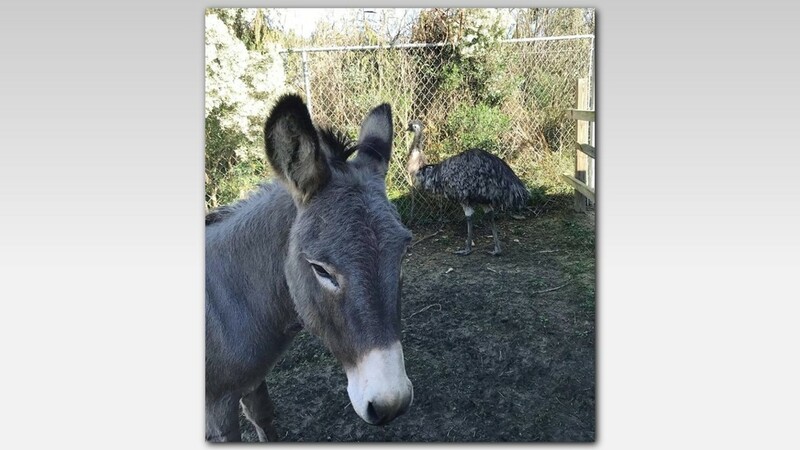 A little ditty, we're talking about a Donkey (Jack) and an Emu (Diane) on a rescue farm in North Carolina. You think John Mellencamp would of approve? CHARLOTTE, N.C. (WFMY)-- It may not have been love at first sight but they're in their feeling now and inseparable. 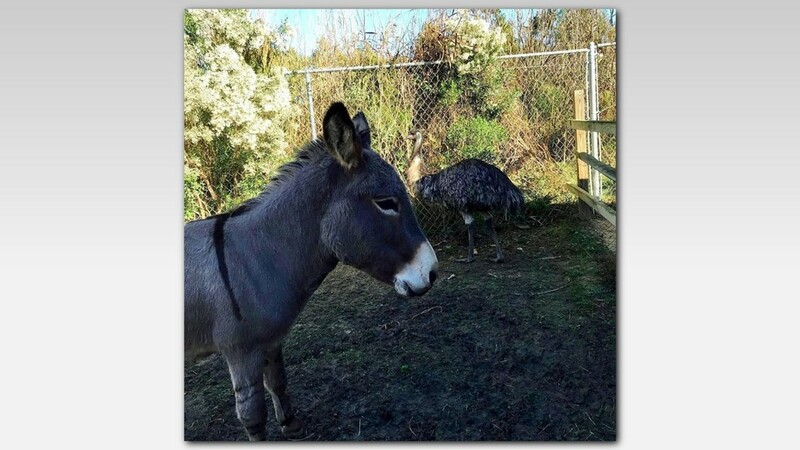 A little ditty, we're talking about a Donkey (Jack) and an Emu (Diane) on a rescue farm in North Carolina. You think John Mellencamp would of approve? It appears the odd couple have fallen in love and refuses to be separate. That now means workers have to keep them in the same area. The two have bonded so well they refuse to leave each other’s side, Jennifer Gordon of Carolina Waterfowl Rescue told the Charlotte Observer. 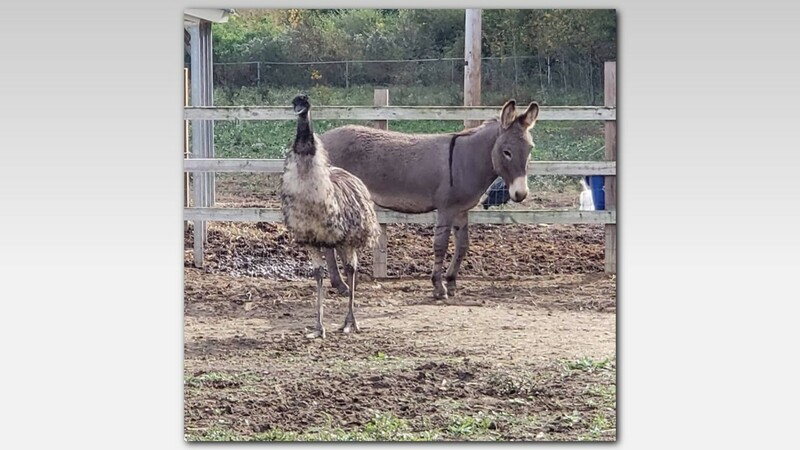 A Facebook post says the farm definitely won't be splitting up the happy couple and they're are looking for a forever home for Jack and Diane. 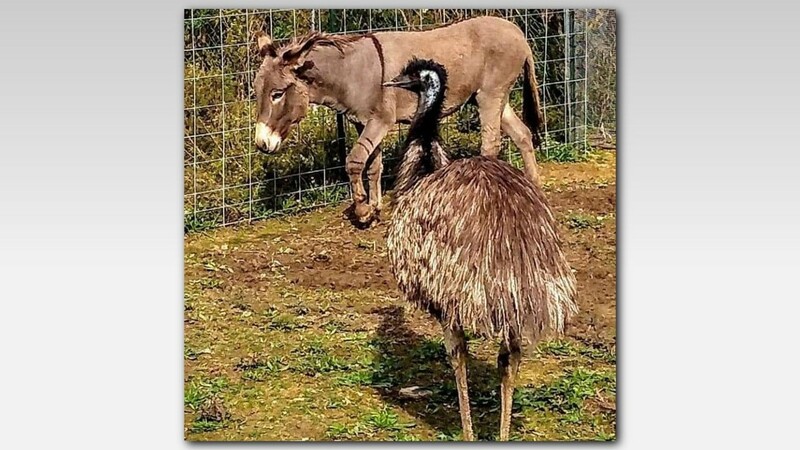 Rescuers made the mistake of trying to separate them and Gordon told the newspaper, the donkey “started crying” and the emu “got frantic” and paced around like an expectant father, she says. Since the story has gone viral, they're keeping updates on their Facebook page about them. 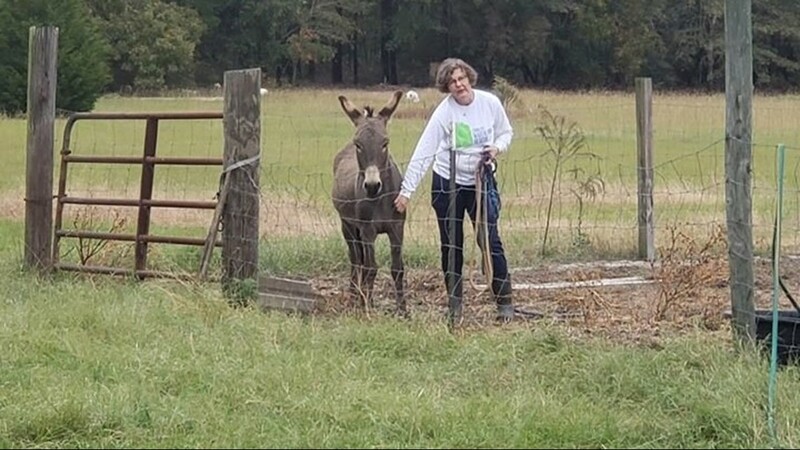 Diane and Jack came to the rescue farm last week from Kershaw, SC after the owner there disappeared and abandoned them along with some dogs, cats and chickens, Gordon says. Carolina Waterfowl Rescue, a nonprofit, is in the midst of raising $150,000 to move from its current 11-acre site to a 50-acre farm near Waxhaw where larger animals can be kept.